Nearly two decades before Jacki-O could claim the title, Luther Campbell's sassy female cousin Anquette truly was the "first lady" of Miami rap, her squeaky vocal style a clear antecedent to similarly toned local MCs like Trina. 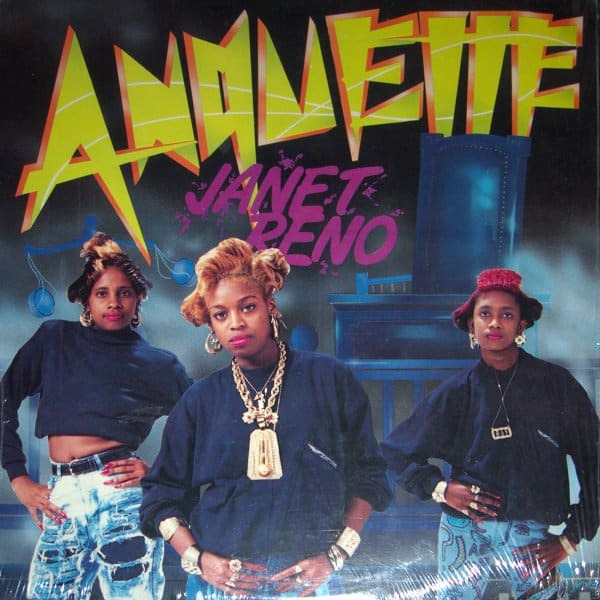 Although she would disappear from the scene by the dawn of the '90s, Anquette followed "Throw the P" with a string of regional hits, including the neighborhood anthem "Shake It (Do the 161st)" and the slow jam "I Will Always Be There For You." But her most fascinating single was "Janet Reno," which saluted the then-Dade County State Attorney for her hard-line policy on child-support dodgers. Over James Brown and Dragnet samples produced by 2 Live's Mr. Mixx, Anquette celebrates the future Clinton administration Attorney General as a sort of superhero for scorned women, breaking up her rhymes with pro-Reno chants to the tune of "This Old Man" and "Yankee Doodle Dandy."